Video marketing has grown tremendously throughout this year, and no signs of slowing down anytime soon. Many marketers swear by how effective videos are in boosting their content marketing efforts, especially when it comes to driving up engagement and increasing conversion rates. Live videos are all the rage this year, and the trend will still continue in 2018 as more and more marketers are seeing the value of live videos for businesses. In fact, studies show that live videos drive ten times more engagement than regular videos and that 82% of audiences prefer live video over social posts. With the astronomical growth of live videos this year, many businesses are predicted to invest heavily in content of this type. From behind-the-scenes videos, to live streaming of events, and interactive Q&A sessions, there’s a wealth of content ideas for live videos that businesses can easily do. Recent studies show that 85% of Facebook videos are watched without sound. As more mobile users watch videos with the volume muted, captions and subtitles in videos are expected to grow in popularity next year. Desktop users are also seen to follow suit as Google Chrome is planning to roll out a new feature in 2018 that blocks autoplay videos that are not muted. While high-quality voiceovers are still important, marketers should be prudent enough to include captions in their videos and to keep up with the trend. Advances in technology are redefining how videos are projected, and 2017 is the year when holograms are made possible through video projection mapping. Video mapping, or spatial augmented reality, involves projecting videos onto 3D objects such as buildings, boxes, and even flower petals. With the rise of VR, AR, and MR this year—which is also seen to grow more in the years to come—many brands are catching up on video mapping as part of their content marketing strategies. Popular brands like Coca-Cola have successfully used video projection mapping on one of their corporate events. Although 360-degree video began solely as a trend among travellers on social media, videos of this type have also been embraced by many businesses because of its immersive storytelling appeal to audiences. Videos in 360-degree format also have the potential to drive online engagement in promising new ways. Many companies, aside from the travel sector, are using 360-degree videos to launch new products, provide a virtual tour of their physical store, and demonstrate product features. In the year to come, more businesses are predicted to dabble on immersive technology, particularly those belonging to the eCommerce sector. 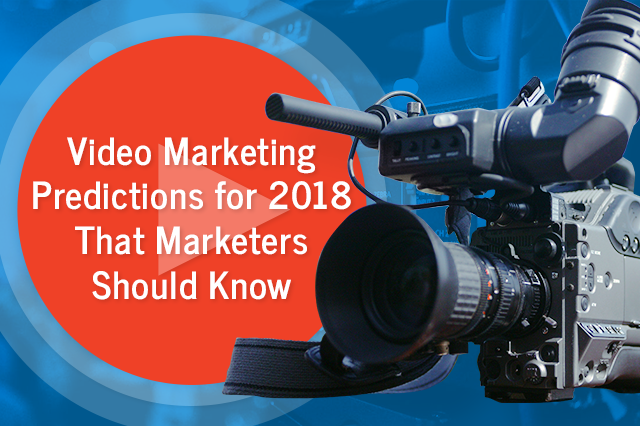 2018 is opening up new doors for marketers to get more creative and innovative with their video marketing strategies. 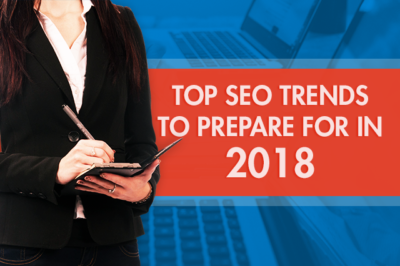 By keeping a close eye on these video marketing trends, you should be better equipped for new challenges that lie ahead in the coming year. A well-thought-out video marketing strategy, coupled with high-quality content and video equipment, can work wonders for your marketing efforts. If you want to know more about how to use video to your business’ advantage, Ilfusion has the experience and industry knowledge to guide you. Just give us a call at 888-420-5115, or send us an email at creative@ilfusion.com.